Like every Summer, this year too, big films are going to test their luck at the box office. We are having a few promising medium budget films along with Mahesh Babu’s much-awaited flick, Maharshi. 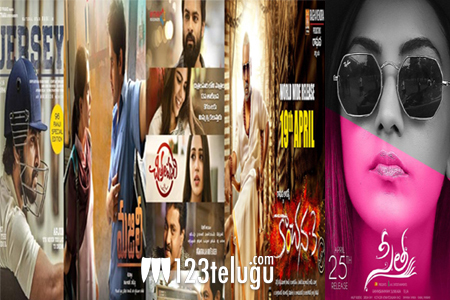 Starting with the month of April, films like Majili, Chitralahari, Jersey, Kanchana3, and Sita will release first and are carrying positive buzz among the trade circles. If these films really live up to the expectations and perform well at the box office, it is going to be a major boost for the distributors and exhibitors. So, the releases in the month of April will be a key and will have a big impact on May biggies like Maharshi and Dear Comrade. Hope all the films generate good revenues and bring a smile to the makers.